I've over at YA Outside The Lines today, blogging about my writing heroes! Hello! Today I'm over at YA Outside The Lines blogging about fear--and how each novel I've published comes with its own unique fears. Flooded With Shiny New Ideas! I have spent the last several months working on preparation for my WIP, researching, taking notes, filling notebook pages with character development exercises, possible scenes, a loose plot plan. Shiny new ideas are flooding my mind! Every time I start a new novel this seems to happen to me, and I'm not sure why. Am I living in a really creative mode? Maybe. I haven't quite reached the total immersion stage of writing (I still have to keep a cheat sheet of my characters' names and relationships in front of me), so I'm still in the world-building stage of writing. I'm setting up the action for the middle of the novel, discarding some ideas, embracing others. So maybe I am simply in a mode of creating ideas? Am I hedging my bets? Probably. Novels in the early stages do not look anything like the fantastic imagined stories we've prepared to write. Most of writing occurs in revision. I know that I'll need to go back and add layers of depth later. In spite of pages and pages of character prep, I still don't really know my characters yet. That comes with more scenes, more paragraphs, more pages, more plot. Revision. Revision. Revision. I'm in the ignore the problems and push forward stage of writing. That's why all these shiny new ideas seem so great. I haven't discovered their flaws yet! I'm noting all the ideas in the back of a notebook, but I'm pushing forward so I can finish my first draft. Then I can polish this novel--during revision! A few years ago whenever people asked me how someone my well-past-teen age could write YA, I'd explain how the emotions have remained consistent since I was a teenager. I'm not sure that's entirely true anymore. Oh, sure we all still experience a range of emotions, but the prevalence of social media has shifted the landscape in a profound way. Even while parenting teens, I've noticed dramatic changes in the four years separating my daughters. As a parent, I know I'm always a step behind. So what does that mean for my drawer novels? More concerning: what does it mean for my WIP? Thankfully, two great new books will help both writers and parents bridge the gap. 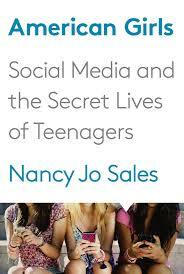 I purposely sat next to different moms during every soccer game, flashing American Girls: Social Media and the Secret Lives of Teenagers by Nancy Jo Sales. 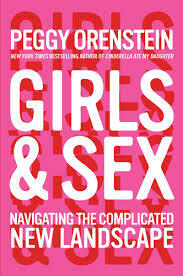 The book inevitably provoked an interesting conversation with my fellow soccer moms. I wish every mom, teen and writer would read this one. It's a bit harrowing at times. One night my 16-year-old daughter snuggled next to me in bed and read a few chapters along with me. She plans to finish it on her own this summer. We've already had so many great discussions about social media, the pressure on girls, and how we use technology. made me wonder what rumors might ensue if I read this one at halftime. Ironically, the social media book is more graphic. I loved Orenstein's thoughtful interviews on wide-ranging topics. She truly respects her teenage subjects while remaining an adult. YA writers could benefit from her writing voice, in addition to the subject matter. This one is now waiting on my college-aged daughter's bed for when she arrives home next week. Her sister will read it next. As a parent, I often wish the world were different for my daughters--and I know many parents who pretend things haven't changed all that much. The problem comes when we don't acknowledge the way things have changed, as writers. Readers depend upon us not to talk down to them. To portray the truth. Provide a realistic slice of life. That means keeping up with changing times. We owe it to our readers! Over and over again this happens: I see an intriguing book-based film trailer and hurry to read the book before seeing the movie, but then I like book so much that I never bother seeing the movie. Rarely do movies capture the nuances and subplots that make books so rich and satisfying. I'm especially disappointed with nonfiction adaptations--so much of the good information in the book never makes it to the screen (and probably shouldn't for storytelling purposes). Oh, The Lady In Gold, the book. Sigh. So I never bothered to see Room. The book was SO clever--faithfully maintaining the POV of a five-year-old boy! Clever. Clever. Clever. But then I found myself having seen 6 of the 8 nominees for this year's Best Picture Oscar. Our great indie theater happened to be showing both Brooklyn and Room, so a double-feature proved irresistible, despite my reservations about Room. The young actor supposedly did a great job…so...but the book was SO clever! Even though I knew the entire plot, I found myself on the edge of my seat, caught up in intensity and emotion. I hadn't felt that way while reading the book. Only the mother's POV could deliver that kind of emotion--a mother's drive to protect, the heartbreak of losing her own childhood... The boy's voice came through in the movie too. 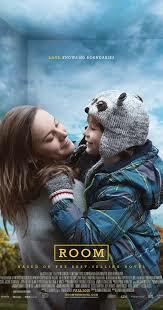 Yet the movie, released from the constraints of a child's POV, also captured the dynamic relationship between the mother and son. I left the theater emotionally exhausted, and I couldn't stop thinking about that young mother. I also couldn't stop thinking about how the book lost too much by being clever. That's a real danger for us writers, isn't it? We focus on coming up with the next BIG IDEA without wondering if the truth in the story will suffer. Maybe the most clever way to tell a story isn't always the best way? Room the movie wins this battle. I hope it brings home some Oscar statues this Sunday! Today I've posted on YA Outside The Lines! The topic is under the radar authors, and I've picked an author with a great YA voice who wrote in Germany during the 1930s.